is put into good posture. and after talk, the bed. 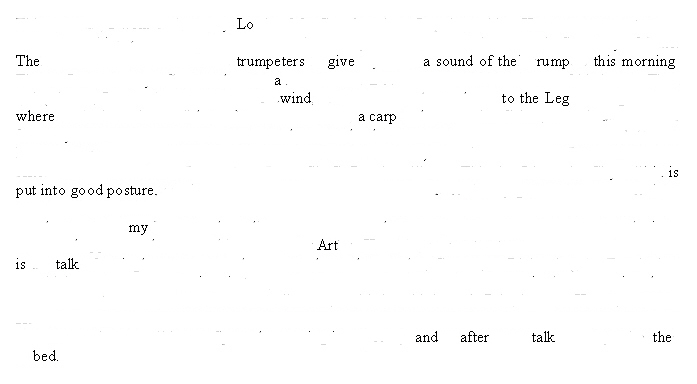 Erasure poem derived from The Diary of Samuel Pepys, Friday 2 March 1659/60. Can’t . . . stop . . . laughing!